On Monday, ASA filed a petition with the DOJ to make DEA stop lying about marijuana . Americans for Safe Access (ASA) filed a petition under the Information Quality Act with the Justice Department "demanding that the Drug Enforcement Administration (DEA) immediately update misinformation about cannabis." Under the Information Quality Act, federal administrative agencies are required to ensure that the information they disseminate is accurate and objective. ASA says the DEA has violated the act at least 25 times. Last Friday, a pair of patients sued the state over fees . Attorneys for patients Yolanda Daniels and Lisa Becker filed suit last Friday to force a reduction in the annual fee for registration cards that patients are legally required to obtain. The state health department is charging $150 a year, even though it has nearly $11.5 million in its medical marijuana account. "In a time when medication is more expensive than ever, the state should be helping to make it cheaper for Arizonans," the patients' attorney argued. "The state is deliberately squatting on the excess fund instead of refunding it to patients or using it in furtherance of the Arizona Medical Marijuana Act, such as to help patients." 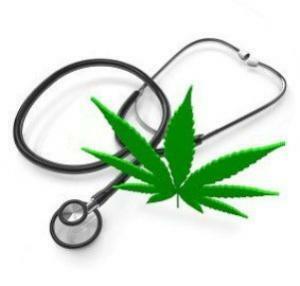 Last Wednesday, regulators released draft medical marijuana rules . The state Department of Health Wednesday released proposed draft rules for the voter-approved medical marijuana program. The rules include provisions about labeling, obtaining medical marijuana registry cards, lab testing requirements, and the process for adding new qualifying conditions. The department said it hopes to present the draft rules to the Board of Health next month and then open them to public comment. The department has not completed draft rules for regulation of and applications for dispensary and cultivation licenses. The state is supposed to be ready to license growers and sellers by June 1. Last Friday, protestors gathered to denounce Kent County dispensary raids . A couple of dozen people gathered outside the Plainfield Township Hall last Friday to protest a series of raids last Monday that shuttered three dispensaries in Plainfield. Demonstrators said they have nowhere to go to get their medicine, but Plainfield officials countered that dispensaries had been banned there since 2011. Last Thursday, Minnesota okayed medical marijuana for PTSD . The state Department of Health has decided to add post-traumatic stress disorder (PTSD) to the list of qualifying conditions for marijuana. It had been weighing requests to add PTSD, autism, arthritis, depression, and other conditions. "While the process of reviewing these potential additions was difficult due to the relative lack of published scientific evidence, PTSD presented the strongest case for potential benefits," Health Commissioner Dr. Ed Ehlinger said. "PTSD also has few effective treatment alternatives available for some patients with the condition," he added. The decision means that patients certified with PTSD will be eligible for medical cannabis starting August 2017. On Tuesday, a lawmaker filed a medical marijuana bill . State Sen. Jose Menendez (D-San Antonio) Tuesday filed a bill to allow for the use of medical marijuana in the Lone Star State. The bill lists qualifying conditions and would allow for private dispensaries, but would not set amount limits. Menendez said that should be left between the doctor and the patient. The bill is not yet available on the state legislative website.